Setting the standard for years, the new SuSi3 evolves again. Originally, the goal was to have a simple design with the best performance possible. This is how the concept name was derived – Super Simple → SuSi! 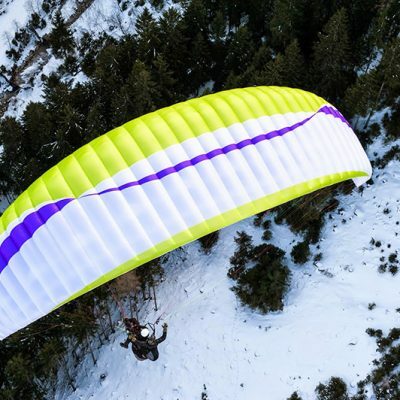 The new SuSi3 is a hike&fly all-round glider, suitable for various pilots and applications – from basic hike&fly to extreme mountaineering and strong wind soaring. The new SuSi3 covers all of these applications with ease. The SuSi3 is perfect for the low-level B pilot looking for a forgiving lightweight wing, or for those choosing to operate on the upper side of the weight range, providing the lightest and fastest equipment for extreme mountaineering or high-wind soaring conditions. The extensive weight range offered within the SuSi3 lineup provides you with all the options to choose the right size for whatever your adventure demands. We’ve developed a chart to assist you in choosing the right glider for your application. If you are looking for basic wing behaviour from a low EN-B glider, then choose according to the fields with a green background. Those seeking fun in the blue background with higher loadings will notice the increased trim-speed, requiring greater pilot experience. The glider’s behaviour still remains predictable, and provides greater flying options, such as strong-wind soaring opportunities. The concept of Super-Simple relates not only to the construction, but even more to the flying characteristics. 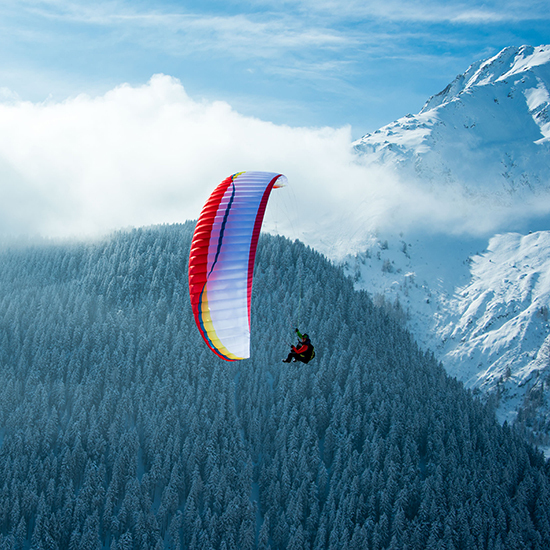 The SuSi3 is one of the most forgiving and easiest wings on the market – now proven with the certification (EN-B in many sizes and loadings). Simplest launching and a rock-solid canopy which defies the roughest turbulence are just a couple of the key characteristics of the SuSi3. Turning response is reminiscent to playing a high-speed video game – agile and responsive. Manoeuvres – such as Big-Ears, B-Stall or Spirals – are easy to achieve and are uncomplicated. Speed system acceleration is excellent and the glider remains ultra-stable throughout the complete bar range, extending your adventure playground. Weight: An overall optimized construction, in combination with the lightest materials made it possible to realise our smallest packing volume glider ever and reduces the glider weight dramatically – 1.85kg for the size 13 is a clear statement to the market. Performance and Speed: A new airfoil and further improvements in the design increase performance by half a glide angle – matching (and in some cases smashing) many EN-B wings. Depending on the loading/glider size chosen, the SuSi3 can accelerate by more than +20km/h when utilising speed-bar, resulting in a maximum top-speed of way over 60 km/h (size 14 with top parameter loading). Risers: As you’d expect, the new Dyneema braid style riser-set is also designed for ultra-low weight. New Sizing: Long time requested, and now we’ve delivered. The size 13 will be the smallest and fastest size offering within the SuSi3 range– aimed squarely at #speedjunkies. Perched at the top of the range, the 23 is the largest, focusing on the needs of the current intermediate / developing pilot. The new graphic logo symbolizes the lightweight and playful nature of the SuSi3. The new slim design stripe on the lower sail supports the elegant shape of the glider, whilst visually enhancing the glider’s aspect ratio. Two new fresh colour combinations connect you to a light and bright appearance of the new SuSi3.